You’ll find wooden floors in all different kinds of contexts. Obviously, you’re likely to find them in rustic properties or homes with an air of tradition. But these days you’re equally likely to find them in modern homes, and they can add a much needed natural dimension in very modern, functional living spaces. .
You can also find wood flooring in spaces that are commercial. This is because people feel comfortable with wood beneath their feet, it has a calming effect, is homely as well as being obviously very aesthetic and stylish. Wooden floors are actually relatively easy to clean and maintain. This is because dirt falls on the surface of the floors and does not become lodged in the tread, as would happen in a carpet. So, usually all it takes is a quick wipe with a cloth to ensure the aesthetic appeal of your floor. Many hardwood floors are actually, perhaps even surprisingly, easy to install. This is because the can be engineered for installation. 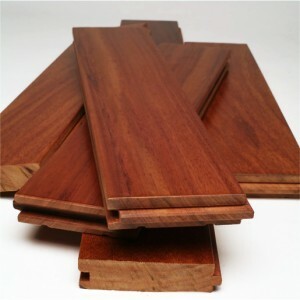 One of the aims of any kind of flooring is durability and long life. There is a reason why much of the antique furniture you might see is made from wood. Quality treated wood is made to last. Because wood is so long lived, this means that when you buy a wood floor you are essentially buying into the future. It is a proven fact that wood flooring can add value to your home, as well as leaving the very best first impression when it comes time to sell. Perhaps the most common reason to choose a wooden floor, or at least one of the most popular reasons, is the sheer aesthetic impact. It’s no secret that wooden floors are remarkably beautiful; this is why they are so ubiquitous. A wooden floor can change its aesthetic considerably depending on how it is finished, treated etc. Variety is the spice of life, and it can also spice up your floor. Wood can be altered in all sorts of different ways, through staining, treating etc. Obviously, there are also all different kinds of species of wood available. take on a lot of dirt. The fibres in carpets can also be a problem and can even cause or exacerbate allergies. To surmise a wood floor is more than just something beneath your feet after a hard working day. Rather it works across a number of levels to ensure and improve your quality of life. It improves the aesthetic of spaces as well as adding lots of functionality and permanence.